An incomplete copper-alloy Roman nummus of Theodora, (AD 337-341) dating to the period AD 337-341 (Reece period 17). 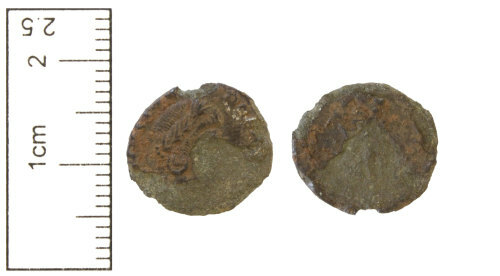 [PIETAS ROMANA] reverse type depicting Pietas standing holding child. Reverse description: Pietas standing holding infant.